Get your FREE digital copy of Kaboom! 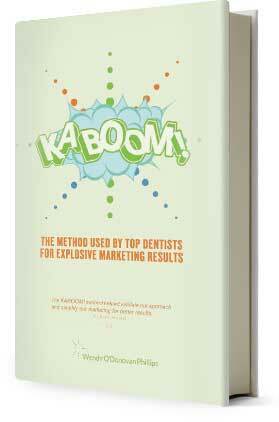 : The Method Used By Top Dentists for Explosive Marketing Results. Learn exactly what you need to know about online marketing and how to make it work for your practice. In addition, you’ll receive dental marketing tips and advice to inspire change and growth in your practice.